Upper Body "5 Minute Workout"
Like the video and Subscribe to our YouTube Channel! Hit your "upper body" with this quick "5 Minute Workout" from 3hree Triplets Fitness. This is geared towards BEGINNERS, but can be used to supplement your workouts no matter what skill level you are. Use this workout to warm up before working out, to burn out after a workout, before bed, after you wake up, or whenever you need to! Everyone has 5 minutes! 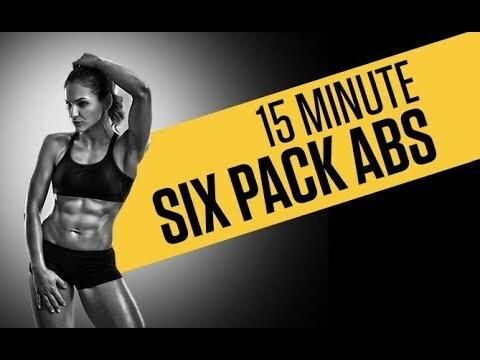 "5 minute upper body workout"
Hit your “upper body” with this quick “5 Minute Workout” from 3hree Triplets Fitness. This is geared towards BEGINNERS, but can be used to supplement your workouts no matter what skill level you are. Use this workout to warm up before working out, to burn out after a workout, before bed, after you wake up, or whenever you need to! Everyone has 5 minutes! Will the results be the same and do you recemmend doing these reps on a bed? The reason I’m asking is I had severe surgery on my ankle last week and I’m looking for workout I can do in bed so I don’t loose all the muscles I worked so hard at kickboxing for the past year.